Tamworth Castle is the perfect setting for your wedding; spanning almost one thousand years of history, the ancient walls of our castle hide Tudor and Jacobean buildings which tower over the Medieval Great Hall. With a magnificent oak timbered roof and decorative leaded windows, the Great Hall can seat up to 60 guests to share your special day. It has all the grandeur and atmosphere you could possibly wish for to help you celebrate your day in style. 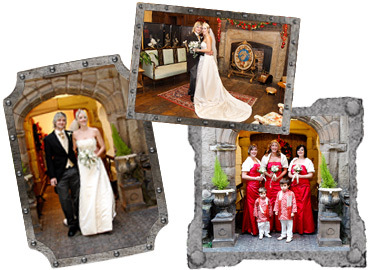 Tamworth Castle is licensed to perform both civil marriages and civil partnerships. For full details and a guide of everything you need to plan your perfect wedding at Tamworth Castle, download the Tamworth Castle wedding pack.